Spring is now upon us and summer right around the corner, which means that many homeowners here in Nashville are now beginning their preliminary plans for a wide range of home improvement projects. With that said, the folks here at American Renovation Services, a Christian-based company dedicated to enhancing the homes and lives of all our clients, stands ready to meet all your Nashville renovation needs. Home improvement projects are typically every bit exciting as they are challenging, which is why we recommend relying upon our team of highly skilled experts to handle your every need. 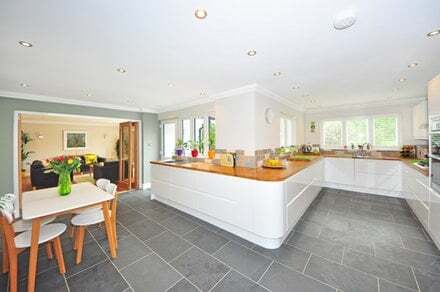 We coordinate all aspects of the home improvement project from planning and creative designing, to developing, building and making it all happen. With God as our co-pilot, our team of dedicated professionals are steadfast in our committed efforts to not only provide ideas and creativity to all our clients, but insight and inspiration as well. With years of serving Middle Tennessee, our team takes pride in meeting all the needs and dreams of our clients by consulting, designing and performing Nashville renovation projects that satisfy the needs and desires of all our clients. We want to ensure that your home improvement experience with our team is a pleasant and satisfying one. We understand the costly investment you are about to make, and are diligent in our focus and efforts to comply with your every need and stay within your qualified budget. Our work ethics, professionalism and our overall integrity are the foundation of our company. Whether you are looking to enhance the interior of your home or your outdoor living space, we have definitely got you covered. If you are in need of a kitchen remodeling, whether it includes countertops, floors, lighting, new appliances or installing a Lazy Susan then worry no more. Perhaps you are looking to give your living room a facelift, or even add a patio to that backyard paradise of yours. Whatever your interest, whatever your project, we are the team for you. There is no project too small or too large for our dedicated team of professionals, which is why we strongly encourage you to take that first step and contact our consultants today. Why choose American Renovation Services? The answer is simple. Our dedication and commitment is to our clients and their families, not to our wallets or our own personal satisfaction. We are aware of the many challenges, and struggles that people face everyday and want to make a difference in the lives of our clients. With that said, you are our #1 priority and providing personalized attention to you and your needs is at the forefront of our overall success. We strive to inspire clients with creative ideas and concepts, as well as affordable prices and a friendly approach. Our goal here at American Renovation Services is simple – to inspire, help and support our clients and their families by turning long-time dreams into happy realities. Whether you are performing a kitchen makeover or designing a new backyard oasis, the folks here at American Renovation Services are the team for you. If you have a dream you have long been holding on to, whatever that Nashville renovation dream project may be, then don’t delay. Reach out to our friendly team of professionals and put your plan in motion today. We look forward to serving you and to inspiring you to take that all-important first step and turn those dreams of yours into realities today!